Sales of these products benefit Women of Wisdom Foundation. Thank you for supporting us! 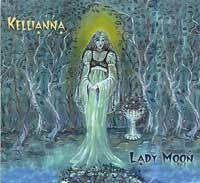 Kellianna’s new CD release, I Walk with the Goddess, is a powerful collection of songs and chants inspired by Gods, Goddesses, Mythology and Magic. The CD features a special appearance of the Sacred Fire Choir on the title track. Kellianna is an accomplished musician and performer worldwide. Her CD’s , Lady Moon and I Walk with the Goddess are being recognized around the globe as a must have for any lover of Goddess inspired folk music. Her live shows are a combination of acoustic guitar songs and chants to the God and Goddess. She is a certified teacher of SpiritSong, a powerful tool for freeing your voice, for accessing the authentic sound that is you, and for entering into Spirit. Kellianna was trained by Shawna Carol in facilitating this unique approach to spiritual growth. Kellianna facillitates chant circles at festivals and shops all over the states. 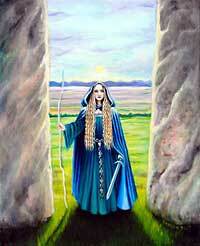 She is a collector of chants and takes great joy in sharing these chants in her circles. 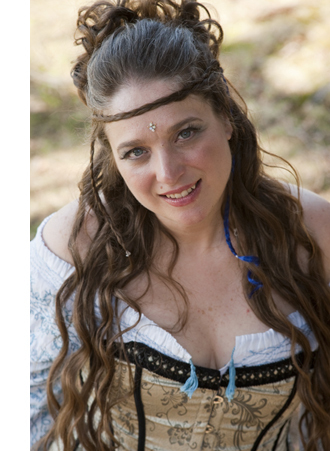 She is experienced in the art of ritual chant, and uses the song to move energy, to celebrate the ancient mysteries, and to strengthen intention.